Hello. Its been a long while since I last visited. Almost 3 years since I last logged in, as far as I can tell. Was searching something, and one of the results reminded me of Rs, which reminded me of RV. So, I figured I'd stop in and say hey. Glad to see that even if it's not as active as it once was, it's still around. I joined almost 11 years ago. Hard for me to imagine that. I was only 13. Man, I was an annoying little brat. I stuck around for 4-5 years, I believe. Checking Rv at least once a day, if not more. Writing a story, joining rp games, one or two games of mafia. It was a fun place to hang out on. But sadly, I ended up drifting away. Between my poor attention span, and things going on in my life back then, I just visited less and less, and eventually just stopped. I checked in a couple of times over the years, yet still remained away. Knowing how I am, I probably will hang around for a few days, and then it'll be another whoever knows how long before I stop in again. Will it be 3 years like this last time? 4? Who knows. (Looks up at the preceding paragraph) Wow. That kinda got a bit depressing there. Anyways, just figured I'd stop be and check things out for a day or two. Good to see you all. 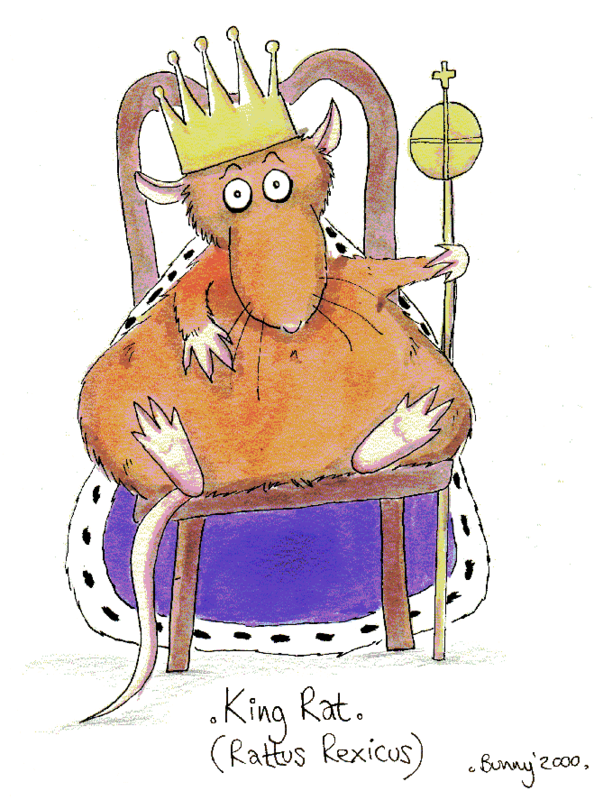 Hi Rat King! I certainly remember you. Back when I was making a little mini 3D game, you contributed some ideas for Rat King's Room haha. How are things going for you these days? Hi Jaron. Good to see you. Things are going fairly well. Working, managing to pay my bills, and still having enough time to have fun. Also, glad I could contribute ideas for a game! Those mafia games sure were fun!